Have you ever parked your car in the parking lot without shade and cover? Im sure you have and it heats up your car! But by having a shade structure to cover the car you are likely to have more customers and people visits your business with such a nice luxury. Having cars uncovered in a very hot summer is not advisable. Cali Shade Sails is the answer to your problem of exposing your car in the soaring heat of summer. Cali Shade Sails is a provider and installer of parking lot shading cover for areas in Fontana, CA and Riverside, CA. We will guarantee you the least of cost than constructing a garage. ​Our Parking Lot Shade Sails are easy to install and maintain. They are cheap but have passed safety standards for parking lot cover by the government. Our parking lot shade sails comes in many different designs that will suit your needs requirements. Our materials used are of high end polyethylene materials or maybe of other fabric materials of your choice - all which last for many years. 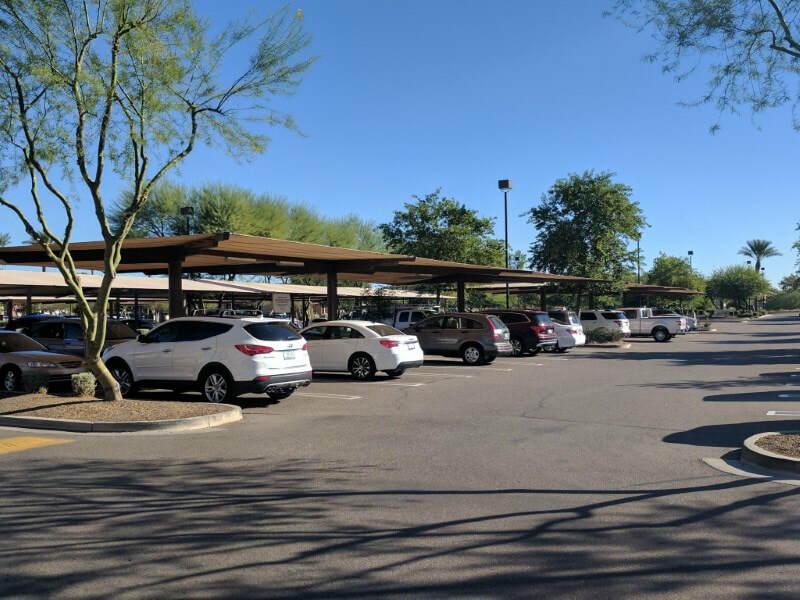 Our expertise in the installation of Parking lot shade sail covers has been unblemished for over the years and we are the front runners in providing our clients the best in the field. Cali Shade Sails offers free inspection of your business establishments needing parking lot shades for your clients in areas of Chino and Rancho Cucamonga, CA. Our offer of free assessment and cost estimates shall be discussed with you once contacted. Cali Shade Sails is also available to provide our services in San Bernardino, CA. We are quick to install parking lot cover in your home and in your business establishments. We are also ready to serve the residents and business establishments of Pomona, CA. Our team is composed of experienced parking lot installers who are just waiting for your call. Our unblemished reputation as the best installers and providers of Shade Sails covers for your parking lots have been highly recommended throughout in the State of California. We have been in the fore front as the number one company in the installation of parking lot shades most especially in the San Bernardino areas. We are always delighted to hear from new and existing customers. We make sure that our services offered comes to you in your most satisfactory and convenient time. We give assurance that our delivery is at par with your expectations. We guarantee that our installers are experts in the field of Shade Sail covers and Canopies. We also guarantee that our Cali Shade Sail covers pass all safety standards. We believe that the safety and protection of our clients is foremost in our operations. We are providers of safety shade sail covers throughout the State of California and our untarnished reputation we will always protect.